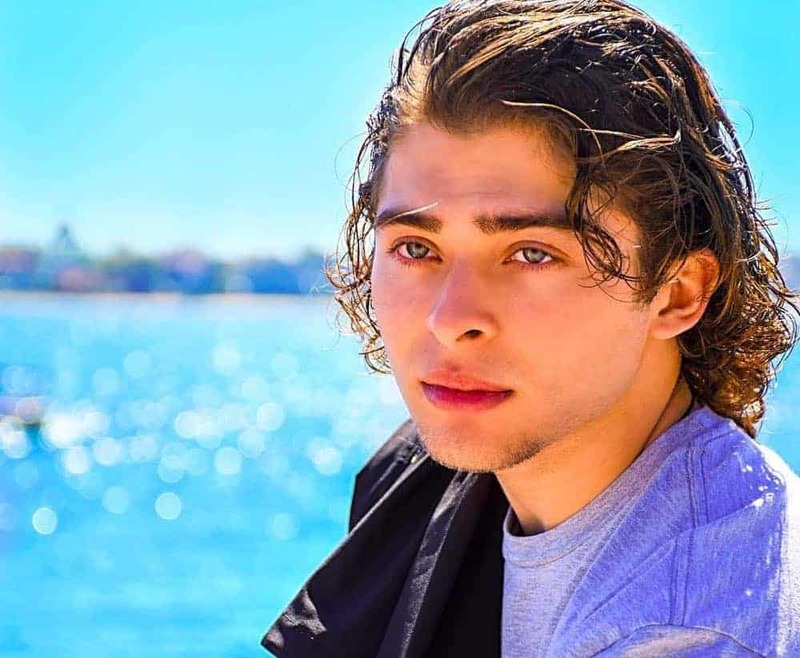 Willing to follow his heart and his art, Ryan Ochoa never hesitated to take on the role of Eli in the film “The Samuel Project.” It is role that not only offered him the chance to learn and hone his craft, it also spoke to him in a way that he felt was important to be a part of. “The Samuel Project” shares the remarkable story of a grandson looking for a way to tell the story of his grandfather’s life and the struggles he overcame leading him to his greatest joy. In an exclusive interview, Ryan talks about the appeal of this role and this story that he wanted to bring to life on screen. What was the initial appeal for you about working on “The Samuel Project”? RYAN: First off, from an actor’s point of view, there was a lot that drew me to the role, generally speaking. For example, I knew it was going to be a challenge working alongside someone as well respected in the industry as my co-star Hal Linden, but another reason I was intrigued with after reading this script was the relationship between the grandfather and grandson. The addition of art, I think is a major catch that drew everyone involved to this movie. How would you describe who your character Eli is in the film? 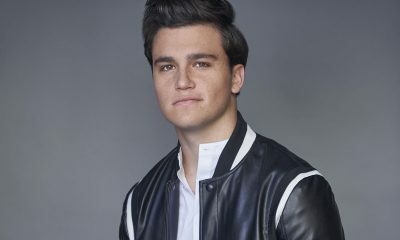 RYAN: Eli is a high school senior, who is a very talented artist, but struggles to convince his father and grandfather that he can make a career out of it. He will do what ever it takes to show his family and the people close to him that he will not give up. RYAN: What I admire about Eli is something I connected with reading the script. There are people in his life, especially his father, who doesn’t take his career seriously. I can relate to that feeling growing up in the industry. Also I really love the path Eli takes, and the hard work to get what he wants. What is it like working alongside Hal Linden on “The Samuel Project”? RYAN: I have to admit I was a little nervous (laughs). It was an awesome experience, and I feel very lucky to have worked with someone that so many people look up too, including my family and friends who are so jealous from my opportunity. I love what I do, and my acting means so much to me, so to be able to work with someone who has lived his life in front of the camera (laughs), I really look up to him for that. How would you describe the dynamic between Eli and Samuel? RYAN: Their dynamic is a special one, which is what the movie is ultimately about. Eli and Samuel come from two completely different eras. Their communication, mannerisms, music genres, and histories are so different, and watching all of that blend on screen is how their dynamic grows. As an actor, what has been the one thing you haven taken away from the experience of working on “The Samuel Project”? RYAN: This is something I told the entire cast and crew towards the end of filming. It was inspiring to me how I met so many hard working filmmakers who wanted to make a good movie. Nowadays, there are so many films with explosions and big effects, and don’t get me wrong those are my favorite. (laughs) But to meet people who wanted to make a heart felt story like this, opened up my eyes to the passionate people I want to work with more. You also perform with your brothers as “The Ochoa Boyz” and provide the music in the film. What did you enjoy most from that experience? RYAN: My brothers are my best friends. Anytime we can incorporate our passion for music together, outside of performing on stage, is a blessing to each one of us. I won’t forget the moment my brothers heard the song in the movie for the first time, looked back to me, and reached to give me a high five. We don’t take any of this for granted, and having our song in a movie you actually are IN is pretty wild! RYAN: Wow making me sound pretty cool (laughs). Something that sticks out to me is how I’ve been blessed to do what I love for so long, since I was a little boy. The feeling is indescribable, because this is what I have wanted to do ever since I can even remember. I’ve had the opportunity to work with so many A-list stars, work for big networks like Disney and Nickelodeon, and now be able to continue my career back in film… I am just thankful for the people who believe in me. RYAN: I do not want to bore you, because I have carried something special from every project (laughs). As far as the roles I have played, I love giving my characters life, and this may sound strange, but the projects growing up helped me learn how to control the crazy set hours, and the workflow that every project demands. RYAN: I don’t necessarily focus on that, but the coolest thing for me, has got to be how I go places and get recognized! It could be from a project I did ten years ago, or something that just came out, but it’s always a positive response. That’s the best part of what I do. Going to the grocery store yesterday to pick up some bananas (laughs) and getting recognized in line, there is no better feeling than that. RYAN: That’s a tough one to answer, I have worked with some talented people on some insane projects. 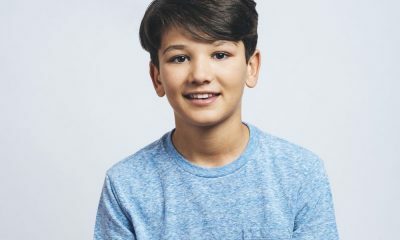 For my age I think this is a sweet accomplishment, and even big actors and adults point this out to me too, but I have had the honor to work on three projects with Mr. Robert Zemeckis. He is an Oscar-winning director, directed “Forrest Gump” and “Back to the Future”, and to say I have been a part of three projects with him is huge for any actor. RYAN: I have a list I keep with positive words from anyone about the business. One thing on the top of my head right now is from my co-star on “The Perfect Game”, Clifton Collins Jr. He told me that I cannot get my hopes up when it comes to any job, and he is right, you get told so many things, and you just never know when it’s going to be your time. What advice would you offer to other upcoming and aspiring actors/performers? RYAN: You cannot let acting, or any career however, bring you down. You are going to get told “no” whether it’s acting, sports, (in Eli’s case) art, but if you believe in yourself and take the steps to be better, you can achieve the impossible. RYAN: It’s who I am, so I am always working on something. Recently, I have been focusing on my filmmaking passion, filming music videos for other upcoming artists. My bros and I are working on some secret projects, that we will announce soon (laughs). As far as acting goes, I have a big Netflix series coming out next year, and another series with some big names too coming. I am excited for what is to come. “The Samuel Project” will be released on September 28, 2018 in select theaters in Los Angeles, Chicago and San Francisco. To learn more about the film, you can follow it on Twitter @theSamuelProj. Then to keep up with Ryan as his career grows, you can follow him on Twitter @RyanOchoa.